Call (305) 303-7413 for a Free Estimate! 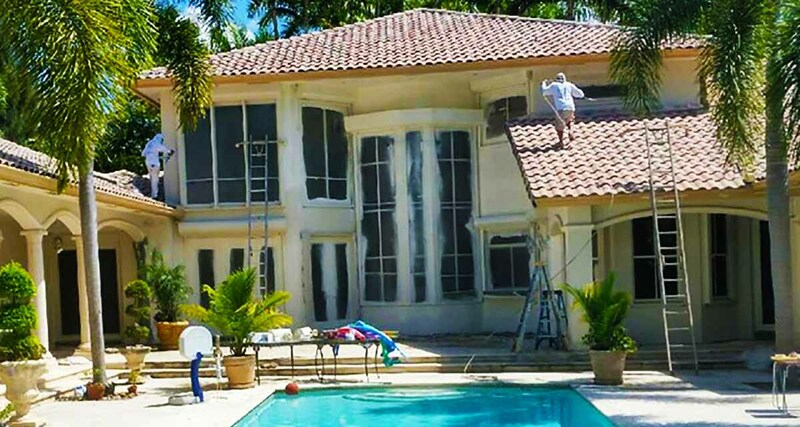 We are looking to employ an Experienced Painter/Sprayer for Residential or Commercial Painting; who is a careful and courteous professional that will focus on Quality, Detail, and Customer Satisfaction through all phases – from preparation to completion and final clean-up of the project. Remove fixtures such as pictures, doorknobs, or electric switch covers etc. Be able to do climbing, bending, kneeling, stretching, and lifting up to 50lb. Job may be physically demanding at time, so applicant must be physically capable of doing the work. LOOKING FOR APPLICANTS IN THE MIAMI, TAMIAMI, SWEETWATER, KENDALL, WEST KENDALL, SOUTH MIAMI, WEST MIAMI, CUTLER RIDGE, HOMESTEAD AREA. Looking for full time/permanent employees. Please send your resume/work experience with a contact number to set up an interview. We offer on the job training for those willing to learn the craft. You may apply online via Indeed or Simply click the button below and submit your application.